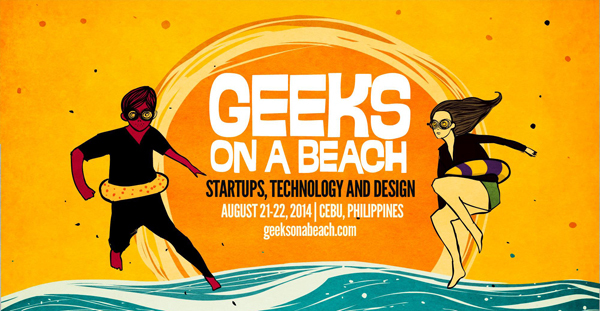 “See you in Boracay!” were the words of Silicon Valley startup guru Dave McClure who will speak during the Geeks on a Beach (GOAB) international tech confab. GOAB will be making its third comeback on August 20-21, this time in world-famous Boracay Island where it all began 3 years ago. McClure also?graced last year’s GOAB held at the Moevenpick Beach Resort Hotel in Cebu. He is prominent in the tech world as the founder of the 500 Startups, a global accelerator and seed fund investing firm that has set its eyes on Asia as one of the fastest growing tech communities in the world. Before founding 500 Startups in 2010, McClure was already an angel investor frequently investing and advising in startups. He was also a consultant of several high-tech companies like Microsoft and Intel and worked for companies such as PayPal and Facebook. “The Philippines is a country full of smart and creative people — it’s a perfect place for entrepreneurship to flourish and grow,” said McClure. 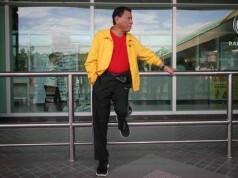 He added that 500 Startups is interested in a number of startups in the country, though nothing has been finalized yet. 500 Startups has invested in over 500 startups or innovation-driven enterprises related to web search, social media, and mobile app platforms. It now has local partners in Malaysia (500 Durians fund), South Korea (500 Kimchi), and Thailand (500 Tuktuks). It is gearing for even stronger penetration in the Southeast Asian region. GOAB co-presenter IdeaSpace, the country’s largest privately backed incubator and accelerator, said that the Philippines should logically be the next budding tech startup destination but also added that much work still needs to be done to build the local startup ecosystem. “We are committed to our vision of nurturing technology startups from the Philippines and the Southeast Asia to help them scale to the region and globally,” said IdeaSpace President and Co-Founder Earl Martin Valencia. IdeaSpace has co-invested with 500 Startups in startups like real-estate portal Zipmatch.com. ZipMatch.com co-founders John Dang and Chow Paredes met some of their investors in the first GOAB conference in Boracay in 2013. GOAB lead organizer and TechTalks.ph founder Tina Amper meanwhile stressed the role of GOAB in helping making this a reality by bringing together startups, entrepreneurs, and designers to take part in a laidback yet dynamic and prolific interaction on tech, entrepreneurship and business opportunities. GOAB is unique as an international conference due its fun by the beach yet productive atmosphere that offers participants opportunities to not only learn the latest on tech and entrepreneurship but also to network and secure business deals. “GOAB is Southeast Asia’s most relaxed, friendly, and fun conference. Real relationships get made. Deals get done. And it’s by the beach. You can’t miss this,” said Khailee Ng, also of 500 Startups as its Managing Partner. GOAB organizers are encouraging those interested but have not yet registered to signup now to make the most of this rare experience . They particularly called on people in the tech industry who want to see what’s new in live action to join GOAB. “Even if you are not ready to make any career moves now, GOAB is the time to get yourself educated, start making contacts and friends who can help you in the future. You won’t be disappointed,” said Amper. Existing businesses that are eager to use tech, online and social media tools to increase sales and profit are also encouraged to come to GOAB and learn about best practices and meet professionals who can help them deploy these tools. She noted that even those working outside tech but are curious about what the fuss is about should come and feel the energy and hear how young entrepreneurs from the Philippines and Southeast Asia are building companies that help make the world a better place. To register, sponsor, or inquire about GOAB, visit the website,www.GeeksOnABeach.com, follow @GeeksOnABeach in Facebook and Twitter @GeeksOnABeach, or email[email protected]. TechTalks.ph has once again partnered with IdeaSpace?, SMART Communications, SMART Bro, SMART DevNet, PLDT Innolab, and the Department of Science and Technology-Information and Communication Technology Office (DOST-ICTO) to make the third GOAB possible. Strategic partners include Sym.ph, Happy Garaje, and PRWorks with AirAsia, Amazon, 1337 Ventures, A-Space, Ipanema, Monk’s Hill Ventures, Plug and Play Tech Center, Mingle, One Pouch, Microsoft, Islands, Salarium, Pascual Pharma Corp., Frontier Ventures, RTI International and USAID-STRIDE, Metro Drug Inc., GT Cosmetics Manufacturing, Synacy, Kickstart, STAC-Silicon Valley, Istorya.net, and Department of Tourism Region VI as main sponsors. TechTalks.ph is a non-profit organization that supports tech startups and promotes ICT careers in the Philippines. TechTalks.ph has organized 11 Startup Weekend workshops in the Philippines, and two Geeks on Beach tech confabs.